Drawn in 1997. IIRC, I had started out on America OnLine (AOL). I got sick of the hourly charges on the account (and racked up more than one huge bill before they introduced their flat rate), so I switched to a local ISP. I tried to find a way to keep in touch wth some friends, and managed to convince one friend to join FurryMUCK! 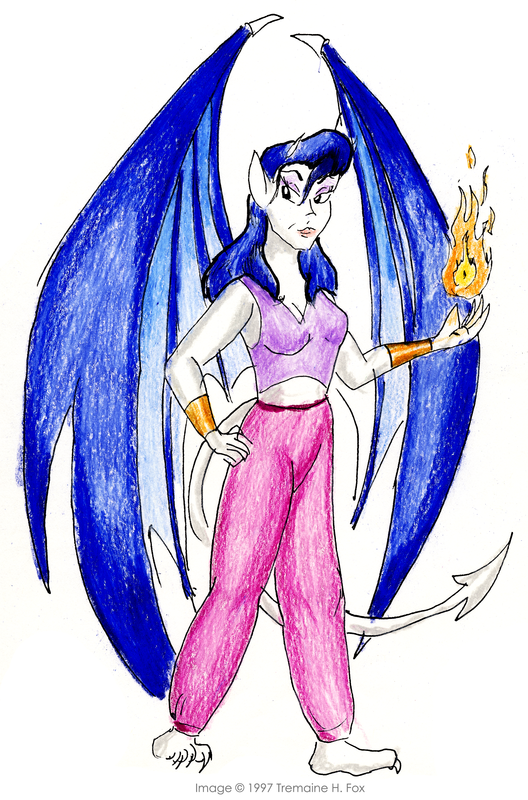 She wasn't into the whole furry things, so she made a gargoyle character (based off of Disney's Gargoyles). Her design was super neat, so I drew her!